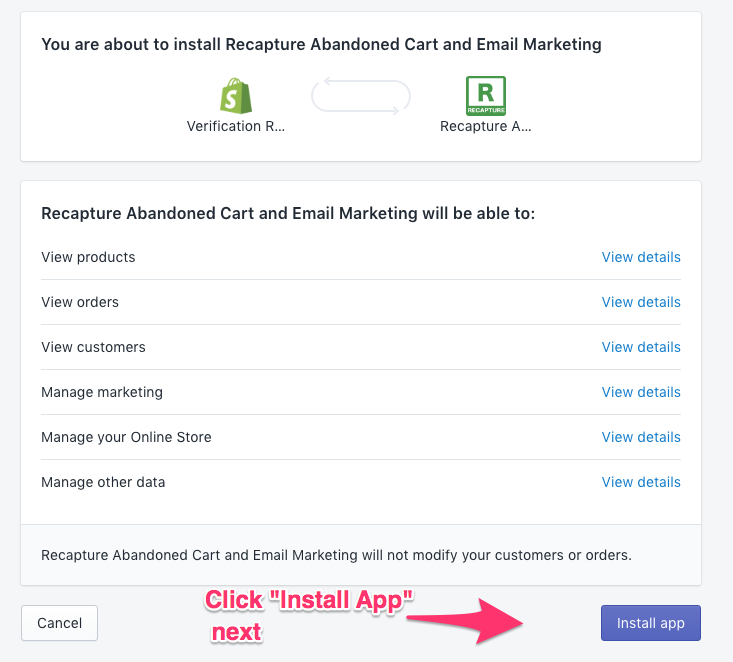 Once you authenticate, you'll finish the configuration for Recapture which is SUPER quick--just two things to setup! 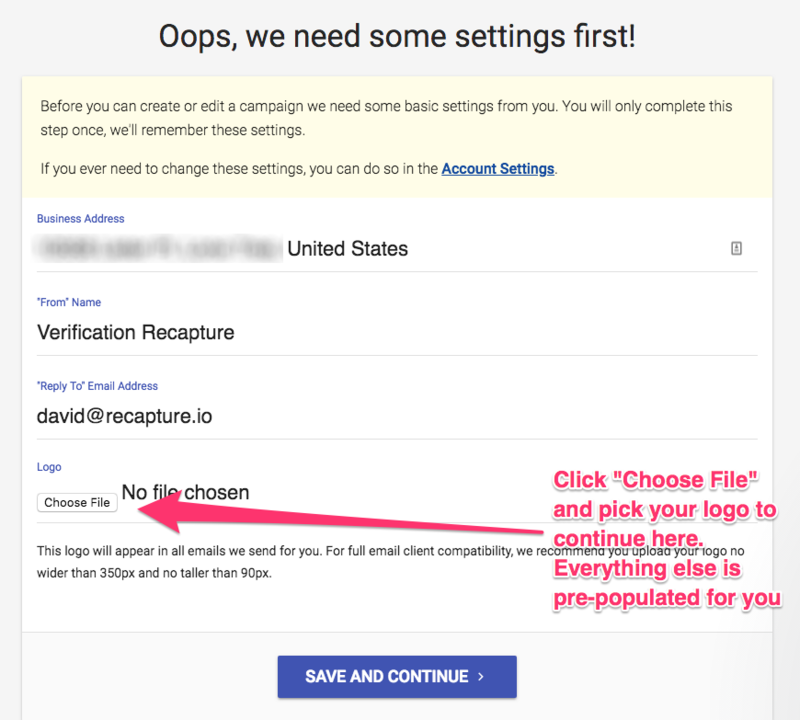 2) Once you do that, you need to provide a logo file for us to use in the emails. 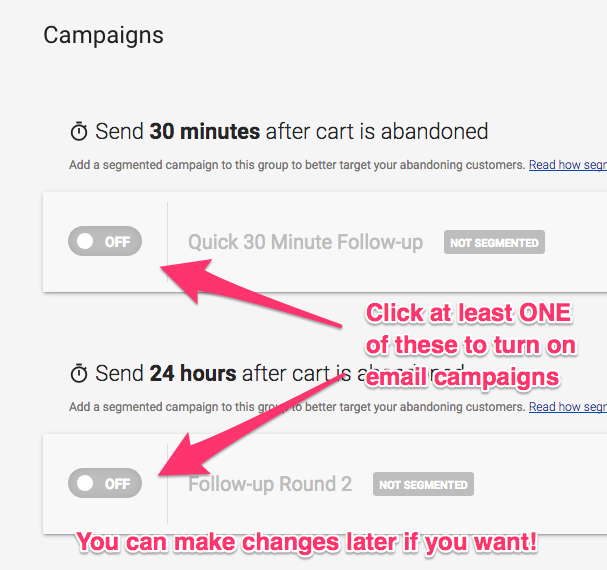 This helps your customers know the emails are from you. 3) You're ready to go! 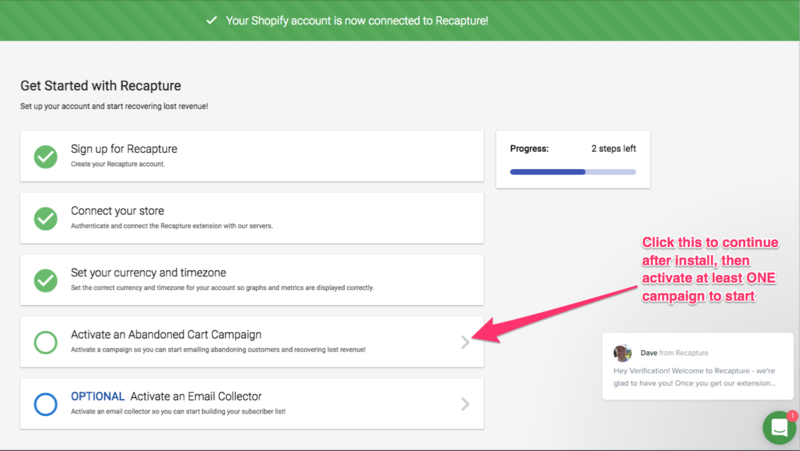 Recapture can start sending emails for you now. 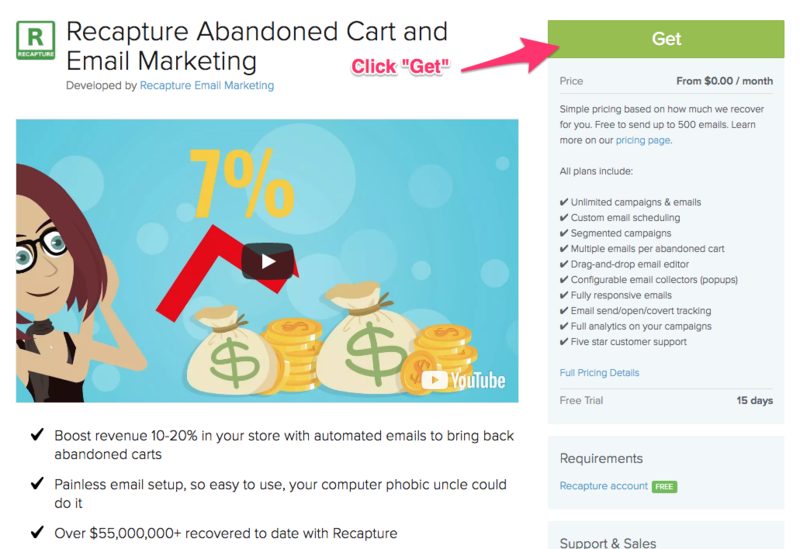 At this point, you're welcome to browse the main Recapture dashboard, setup email collectors, or edit your abandoned cart campaigns in more detail, or turn on Review Booster. Your analytics will display after your store has sent data for 24 hours. We aggregate data for the dashboard daily, so you'll see how it's working within a day or two.